Are you looking for some cute beanie hats for babies for this winters? some cool Beanie hats Patterns to keep your baby warm in winters. Then this post is for you. Beanie hats have always been in trend and they can make one look very classy. There are different sizes and colors available in beanie hats. Some are over sized beanie hats, the slouchie beanie hats, straight beanie hats, pom pom beanie hats, fitted beanie hats.Caps and beanies can complete the look and make a statement wherever you go. For babies woolen beanie hats and trapper hats are preferable.Toddlers look absolutely cute in beanie hats. Crocheted baby hats look cute. Different patterns and designs are available. Chain stitch, slip stitch, and double crochet are very famous and trendy. Some of the basic patterns striped beanie, owl beanie, Mohawk beanie, monster beanie, simple beanie, and flower pattern beanie. Beanies can never go out of style, and they very classic. Specially for babies they are a perfect choice to keep them warm. You can easily purchase them online and in markets.Some brands have a very cute collection beanie hats for babies. According to seasons they launch their new collections. Whether it’s autumn or winter. They are uniquely designed for babies comfort.Babies look adorable with the hats. Animal Beanie hats, floral prints, zigzag prints, colourful prints are very trendy. They can add more charm to a baby’s outfit. 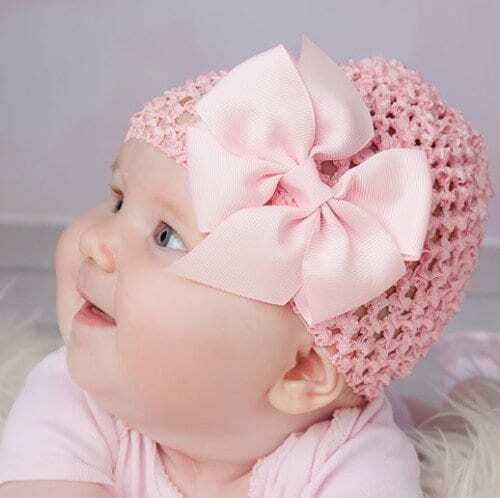 Bright colors would look more beautiful on babies as it attracts everyone. One of the basic style is to get a fitted beanie. The easiest way to wear it is over your forehead. It will cover the back of your head along with the ears.Dressing your little one would be fun. Choosing the best outfit for your baby is essential but selecting the trendy accessories can be more fun.Styling is not just for adults. Styling an infant or a kid is essential too specially if one is going out to attend an event. Dress up your baby the best way. Babies grow and learn best when they are kept warm therefore it is important that you dress them up well while covering the head with hat. Here are few of the pictures of the beanie hats that vary in sizes and designs. They can be styled well on the babies. Select the best beanie hats that fit your baby well. Hope you will have fun dressing up your baby.Lets see the collection. You can buy these pretty hats online from ETSY and Ebay .